About half of the United States (23 to be exact) have named an official state amphibian. Both Georgia and Louisiana have honored the American Green Tree Frog, which was the inspiration for today's craft. This post contains affiliate links. 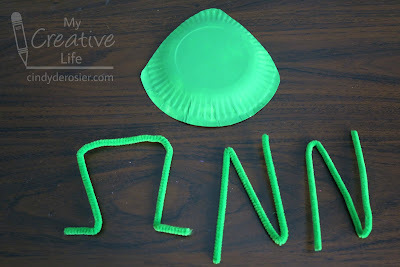 Cut the paper plate so that the back half forms a gentle point, as shown below. Paint it green. Bend one pipe cleaner into a pi shape for the front legs. 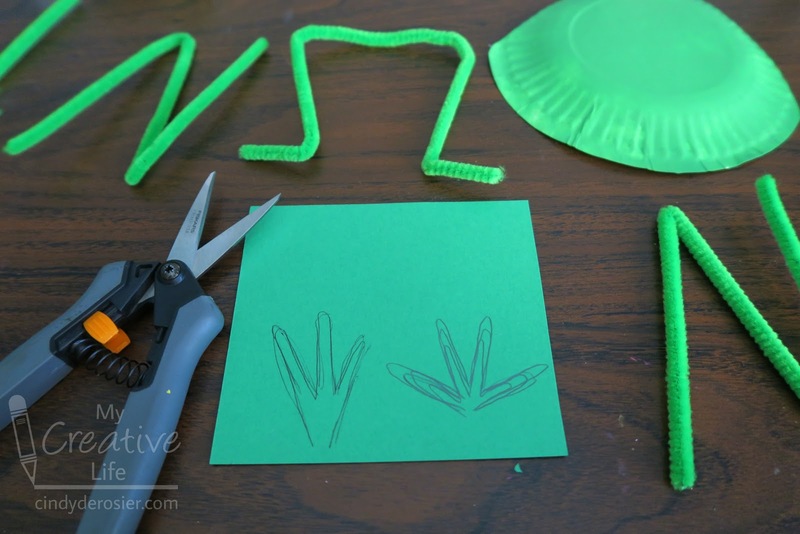 Bend two pipe cleaners into N shapes for the back legs. 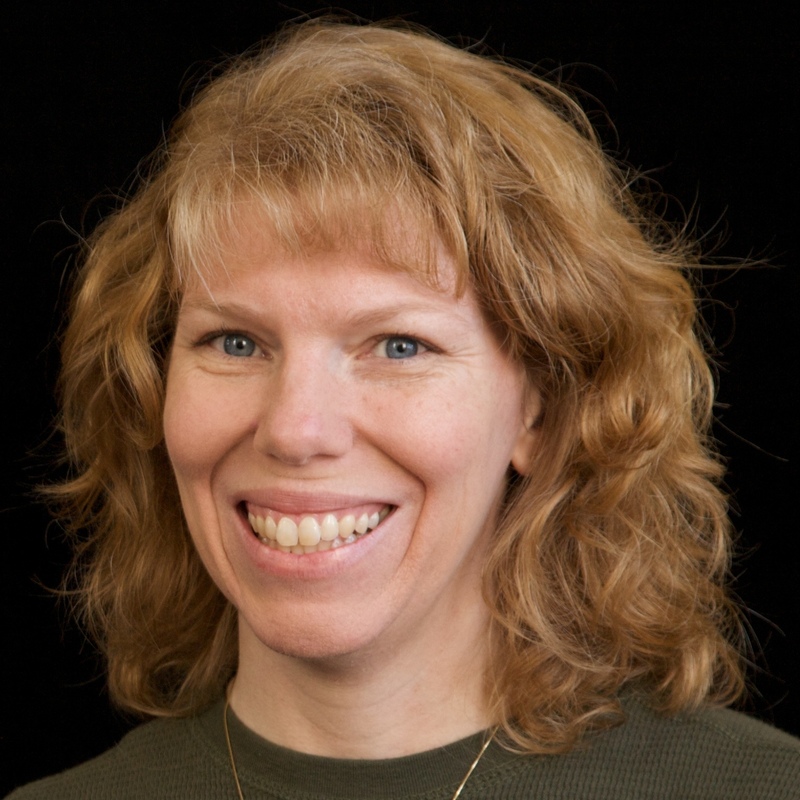 Draw a three-toed back foot and a four-toed front food on green construction paper. 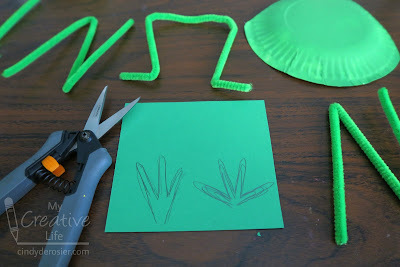 Cut them out with the microtip scissors, then trace them and cut out a second back foot and second front foot. 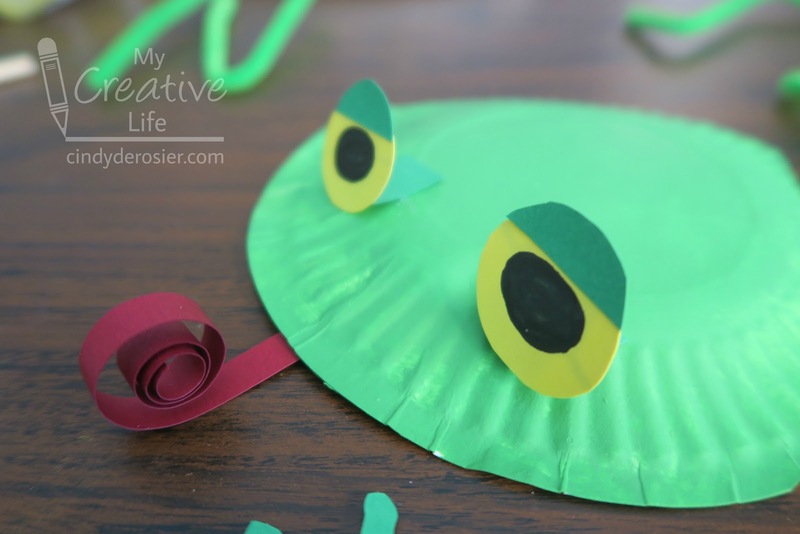 Cut two yellow circles for the frog's eyes and two green arcs for the eyelids. Glue them together. Use the Sharpie to add the pupils. Cut two small green rectangles, fold each in half, then glue one end to the back of each eye. You'll use these to attach the eyes to the plate. Cut a thin strip of red construction paper and roll it around a pencil or other narrow cylinder to make the frog's tongue. Glue the eyes to the top of the plate and the tongue underneath the plate. 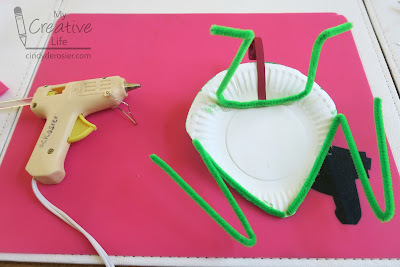 Turn the plate upside down and use hot glue to attach the pipe cleaner legs as shown. 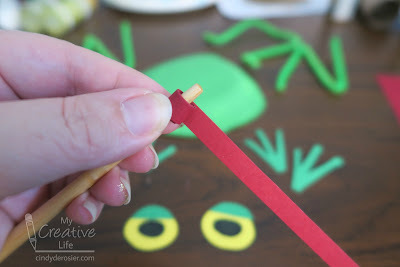 Turn the frog back over the correct direction and glue the feet in place. Now adjust the legs until your tree frog is balanced. It would be easy to adapt to make other species of frogs. I may just give that a try! WTH - 23 States w/ Official State Amphibians?! That's bizarre, but also funny! 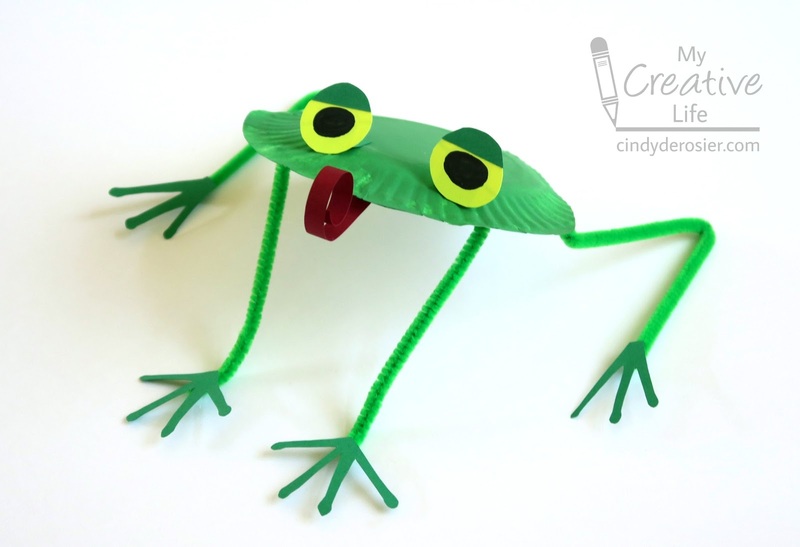 Love that your craft frog has a curled tongue! Apparently the Amphibian Lobby is strong.